Winnie (2) looks so happy, doesn’t she? She adores riding around. And walking around. And licking people. 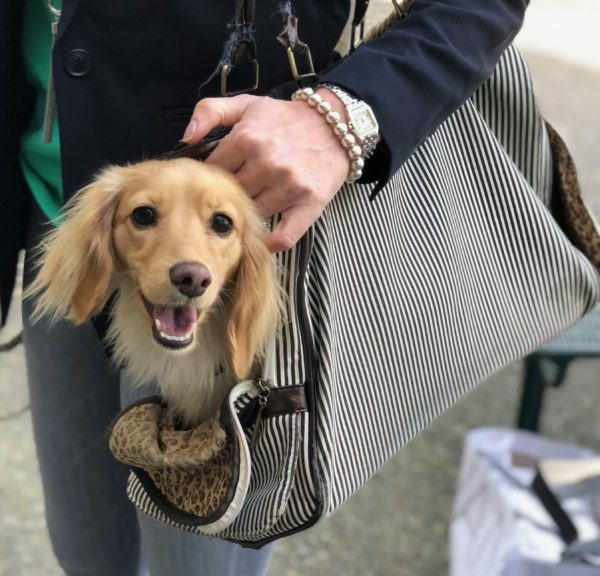 This entry was posted in Dog of the Day and tagged Dachshund, Embarcadero, Ferry Building, Foofly Wiener. Bookmark the permalink.